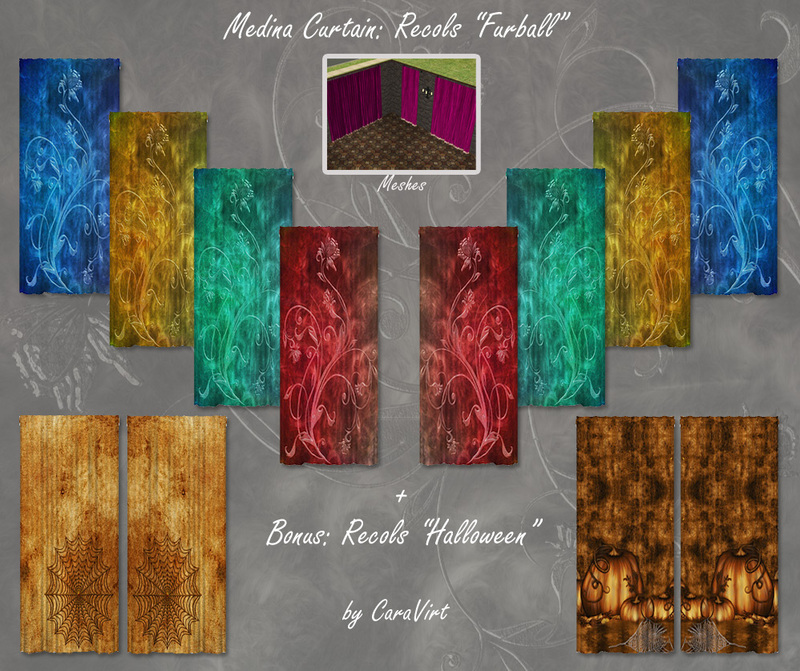 4 (8) Recols mit "verwirbelter Blumentextur" sowie 2 (4) Recols mit Halloween-Motiven (basierend auf Designs von oldhippieart bei DeviantArt). Ich habe jedes Motiv gespiegelt, so dass die Gardinen auch an einem Doppelfenster passend platziert werden können (oder mit einem/mehreren Mittelteilen an größeren Fensterfronten). Die Meshes sind beigefügt (FairywitchSims.com ist leider nicht mehr verfügbar). Es sollte aber nur der 1-Tile-Mesh genutzt werden, da die Motive bei den anderen nicht gut aussehen. 4 (8) recols with "swirled flower texture" and 2 (4) recols with halloween motives (based on designs of oldhippieart at DeviantArt). 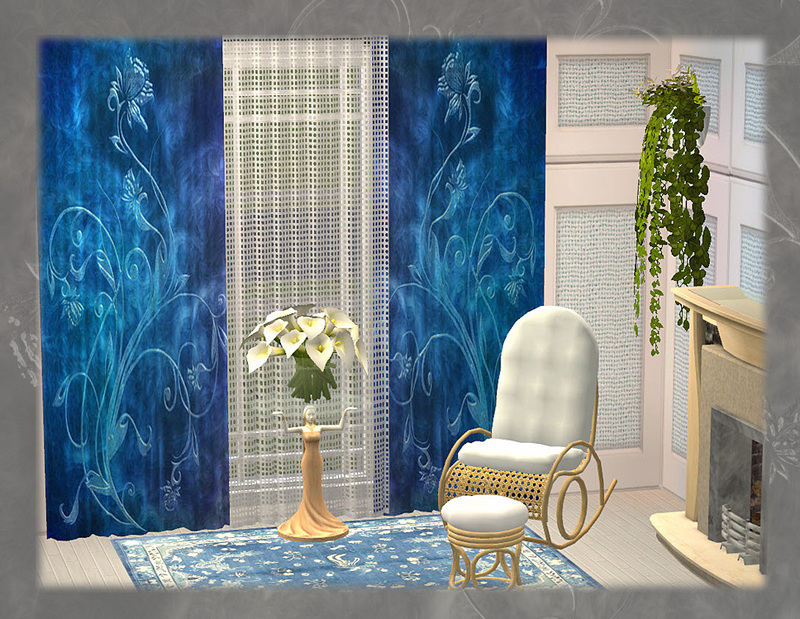 I mirrored each motive, so that the curtains can be placed on a double window (or with one/more other middle parts on bigger windows). Meshes are included (FairywitchSims.com is no longer available). But you should only use the 1-tile mesh, because the textures doesn´t look really good with the others.